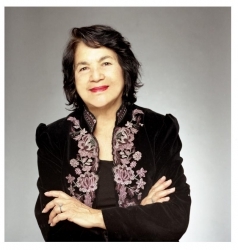 On Tuesday, November 17th, the Mexican Embassy in the United States, on behalf of President Enrique Peña Nieto and Ambassador Miguel Basáñez, bestowed “Orden Mexicana del Aguila Azteca” – Mexico’s Order of the Aztec Eagle Award – to Dolores Huerta for her exemplary work in promoting an understanding of Mexico in the United States and encouraging cultural and social engagement between the two countries. 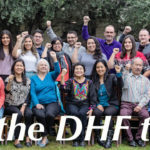 The ceremony was held at the Mexican Cultural Institute in Washington, D.C. Art curator, Dr. Barbara Tenenbaum and attorney, José Villarreal also received the award. 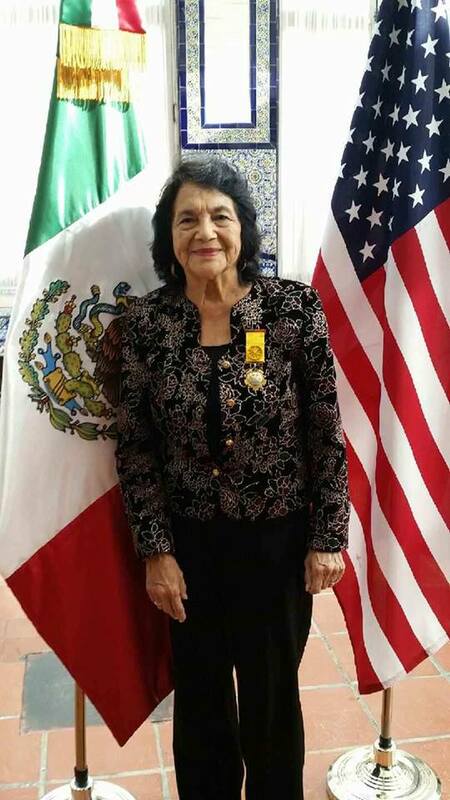 The “Orden Mexicana del Aguila Azteca” was established in 1933, and is the highest decoration awarded by the Mexican Government to foreign nationals as an acknowledgment of outstanding services rendered to Mexico or mankind. It was created by a decree on December 29, 1933 by President Abelardo L. Rodriguez. President Dwight Eisenhower, Senator Edward Kennedy (posthumously), former Governor of New Mexico, Bill Richardson and Microsoft’s Bill Gates, are among previous US recipients.